No More Tired Eyes. 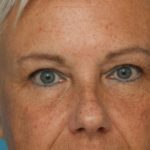 Blepharoplasty: Hello Bright Eyes! - Patrick Sullivan, M.D. Home»Blog / No More Tired Eyes. 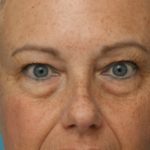 Blepharoplasty: Hello Bright Eyes! We hear this often in my practice: “People are telling me I look tired when I am not. Can you help me with these bags and circles around my eyes and cheeks? What can you do for me? ” Fortunately, we have a terrific treatment for most people. What our patients frequently like the most about our method is that the result is a natural appearance without that operated look. So, how do we accomplish this? First, we listen to our patients about what is bothering them and what they hope to achieve. The problem: As we age, our eyes naturally start to droop so it is important to hydrate the skin around the eyes with a good moisturizer like Alphaeon Growth Serum for dark circles and Provoque for fine lines and creepiness. It is also important to wear sunscreen all year round to avoid sun damage, which in time contributes to loss of skin elasticity. The upper eyelid blepharoplasty is common with our patients who have hooding, excess skin of their upper lids, puffiness, or a combination of those problems as they don’t want to have a tired-looking appearance around their eyes. As for our patients who are bothered by their lower eyelids they frequently want a lower eyelid blepharoplasty. Thus, their #1 concern is that they want to remove the puffiness and circles that give them tired-looking eyes. Some of the key features of our technique is the use of an incision that is hidden so we can remove the puffiness and the circles at the same time. We want this to have no visible scars so people never know our patients had surgery. After performing hundreds of these treatments for our patients we wrote a paper and reported our technique in the peer-reviewed Plastic and Reconstructive Surgery Journal entitled, “Extended Lower Lid Blepharoplasty for Eyelid and Mid-face Rejuvenation”. We discussed how patients are frequently troubled by the illusion of fatigue and sadness that can be caused by the appearance of their lower eyelids and the circles under the lids. We have been so pleased with our special extended blepharoplasty technique, which I performed on over 335 consecutive patients evaluated in this paper. We have been able to significantly improve both the appearance of the lower eyelids as well as the mid-face contour. Because this treatment had been so beneficial for our patients with these challenging problems we thought it should be reported in our major plastic surgery journal. We were surprised by the level of interest by other plastic surgeons. The American Society of Plastic Surgeons presented us with the Best Cosmetic Paper of the Year award at the annual meeting in Chicago, IL. We didn’t know the Plastic and Reconstructive Surgery Journal was responsible for reviewing data for all manuscripts published. They collected data on the number of times the full text of the article was viewed, as well as the number of times the article was added to a personal connection through the PRS Journal website. This information was further condensed to represent the average number of times per month the aforementioned activities occurred. Finally, each manuscript was given a score based on all of these data points so that one article would not be favored over another based on its month of publication. We were humbled and surprised to know that this article was viewed more than any other cosmetic surgery article of the year. Since the problems can be so significant for patients affecting their jobs, family life, as well as socially, we were happy this helped to contribute to the education of plastic surgeons all over the world about such a challenging set of problems. If you have these kind of concerns you can be sure you are not alone and there is help for you. The treatment is not simple but it is effective and involves both art and science. With some of our patients, both the upper and lower eyelids are contributing to the tired, aged appearance, where I would certainly perform both procedures simultaneously. Thus, there is only one recovery period and the overall rejuvenation of the eye area is completed at once. Our patient here benefitted from both eyelid surgery to help address the puffiness in the circles as well as the use of her own fat cells with associated Stem Cells in the cheek region to help fill in the circles and deflate areas of the cheek. This combination of procedures has proven very beneficial for select patients and we feel the results are much better than using synthetic fillers. The #1 goal for our blepharoplasty patients is to have the best natural results possible as well as have the best care before, during, and after this type of procedure by our amazing team. If you would like to discuss your concerns, or would like a copy of our article from the Plastic and Reconstructive Surgery Journal, please feel to contact us for a consultation at: 401.400.4222. We would be happy to answer any questions or concerns that you may have.